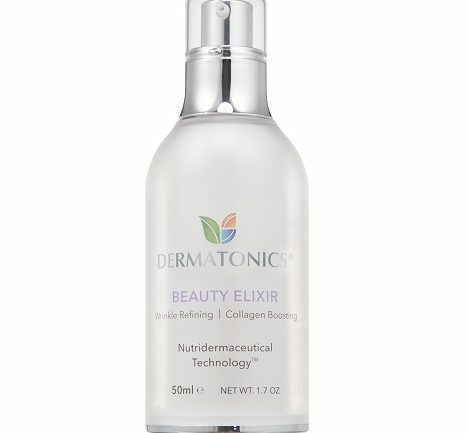 DermatonicsÒ Beauty Elixir is an advanced wrinkle-refining and collagen-boosting moisturiser specifically developed using Nutridermaceutical TechnologyÔ to absorb very well into the skin. It is infused with medicinal plant extracts to help promote cellular repair mechanisms, as well as hydrate and nourish the skin. Designed to help improve skin texture, refine lines and wrinkles and also boost collagen and elastin within the skin. Beauty Elixir is particularly suitable for those with sensitive skin or skin that is easily sensitized. 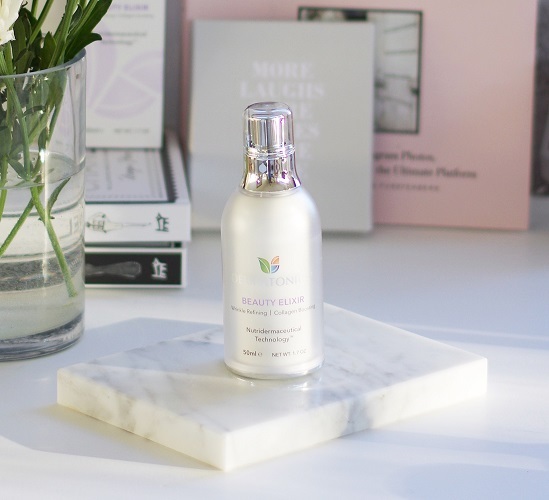 The gentle and highly hydrating base of DermatonicsÒ Beauty Elixir, and formula developed without harsh chemicals, provides a moisturiser that is highly beneficial for those typically sensitized with many moisturisers. Calycophyllum spruceanum (Mulateiro) stem cell extract – used traditionally to treat wounds, cuts and abrasions and for its anti-ageing benefits. It is considered to have antifungal and antibacterial properties and may help minimise breakouts. Theobroma grandiflorum (Cupuaҫu butter) – it possesses a high capacity for water absorption which provides superior moisturizing properties. Cupuaçu butter offers a lovely soothing ability that will help restore elasticity and softness to skin. It contains phytosterols that help to regulate the balance and activity of lipids in the epidermis. Olive extract – has been used for centuries as a medicinal herb. It is packed with antioxidants and phytonutrients that offer significant benefits in the treatment of a wide range of skin conditions. Resveratrol-rich grape extract – is a powerful polyphenol and is found in red grapes. Research has found that resveratrol-rich grape extract reduces inflammation. Independent research has also proven it has the capability to extend the life of cells ~ 2-fold. Vitamin A for Sensitive Skin! Ultimate solution for dehydrated skin.